You need to login if you want to access download menu item. Make your maps in few clicks. View your clients on Virtual Earth Roads or other rasters. Put your data indicators on layers and view diagrams or other analysis. Export your map as image to give more value to your presentations. 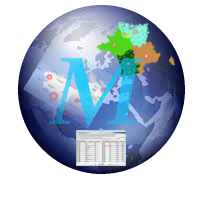 Migratio is the alternative to up-market softwares.